Styland jackets are crafted by hand, they combine menswear inspired tailoring with feminine subtleties using high thread-count wool, a Super 150s, thin, light and fragile, fully lined with stretch Silk in solid colors with internal canvassing. From Monochromatic Aesthetics to Unexpected Brights, Styland is focusing first on quality fabrics that are then cut for a great style and handcrafted to deliver a powerful look and feel for a woman. Styland is remarked by impeccably framing the female silhouette captivating the attention of fashionistas and women in search of eclectic colors, sharp cuts and versatile pieces that can become their wardrobe’s core pieces. STYLAND’s market research shows that the perfect formal attire has the same confidence-boosting effect on women as it does on men. Women wearing a tailored jacket were found to feel more secure and strong and less vulnerable. 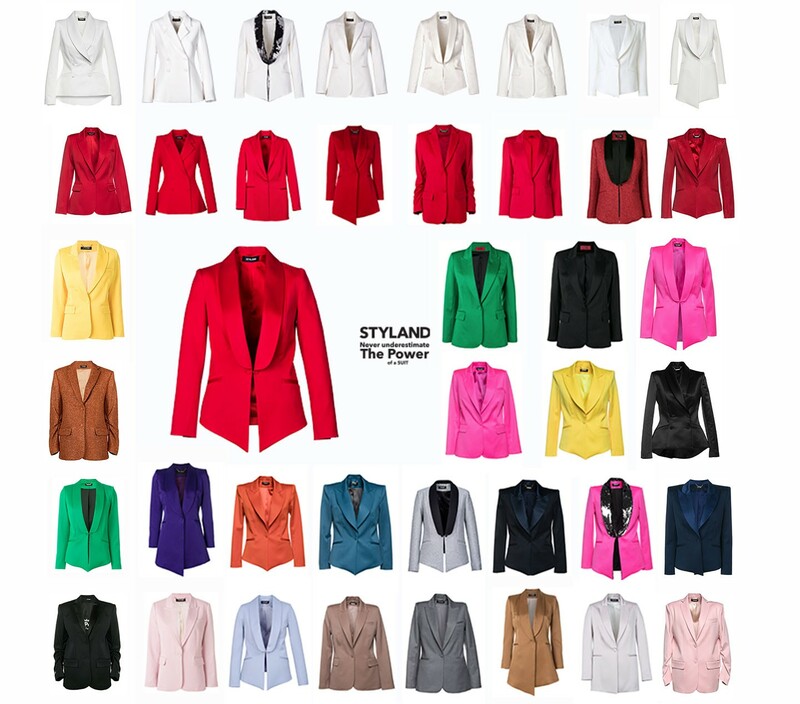 Styland women are those who maintain their femininity but want to incorporate versatile and timeless pieces, commonly found in menswear, into their wardrobes creating a personal style that tells a story. The moment you step into a room wearing a jacket with the right cut and shape in a great fabric you feel like a million dollars.